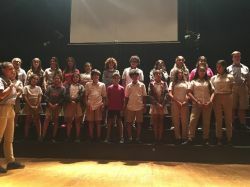 We are well into the swing of things for the school year now, and there is a lot going on. 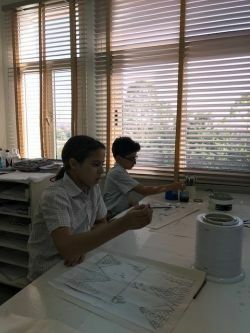 As you probably know, I spend a lot of time around and about in the school, talking to students and teachers and popping into lessons to see what's happening. Since the start of this term I can honestly say that I have been really impressed with the way our children have started the year. The corridors are quiet and orderly and the classrooms are busy and productive. 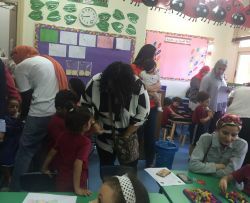 There are happy faces and lots of smiles, and I see teachers enjoying themselves as much as the children too. On the whole, the school is a wonderfully positive and busy place and it is a joy to be here. 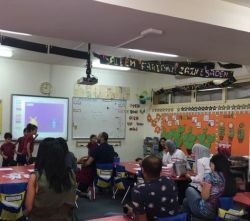 I wanted to tell you this, because whilst I recognise that teachers are working hard and doing a good job for our students, it's also equally clear to me that our parents are supporting us in our endeavours at home. 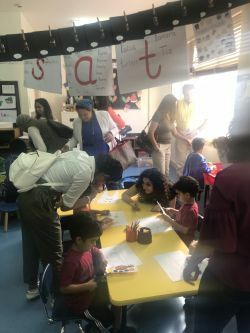 As we always say, the education of our children is a partnership of school, parents and children, and on behalf of the school may I say how magnificently well you are supporting us. There are several future events I would like to draw your attention to. Firstly, on Wednesday 7th November we will be hosting one of our regular coffee mornings. I have asked our school counsellors to prepare a presentation for parents which has the wellbeing of our students as its theme. We will of course remind you closer to the day. Lastly, Friday 16th November is the CES Picnic. This is a great opportunity for you to come and have fun whilst supporting our PTSA charities for this year (please refer to me earlier emails for a reminder of these). I look forward to seeing you at these events, and thank-you for your continuing support for our school. Learning Mornings took place before half term, in early October. 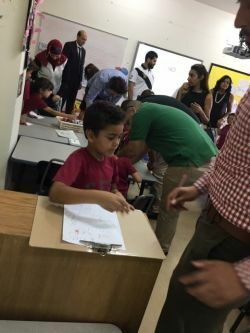 These events are a good opportunity for parents to experience the learning that takes place in their child's class. 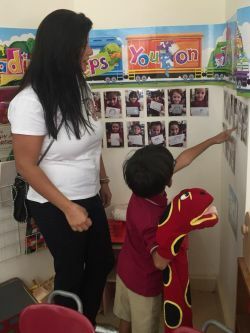 In FS1, it allows them to see how their child has adapted to their new school surroundings, how they are learning to participate in daily routines and to take responsibility for their own belongings. This settling in phase is particularly important for our FS1 children as it sets the tone for future school success! 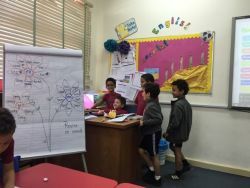 In FS2, it's also about change not only new, though familiar, teachers and classmates but deeper learning opportunities. 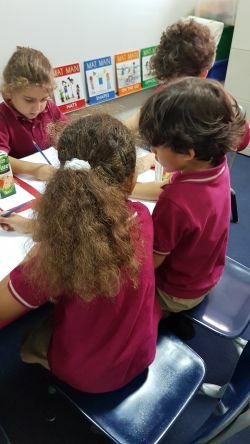 Therefore, re-establishing friendships and building on their prior learning is a key focus for our FS2 children. 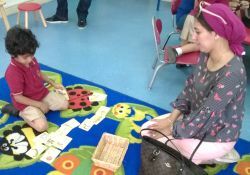 In Year 1, it is a new beginning, new environment (different end of the ground floor) and teachers they have seldom seen. This is a big change for our children. Different uniform, bigger classes and higher expectations. 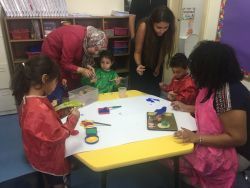 The transition to Year 2 is much smoother, as our children are much more confident learners and have developed a familiarity of the school and their place in it. Walking around department now, you would think the children had been at school for months, but this is only their second month, yet they are settled, adjusted and a lot of learning is taking place! 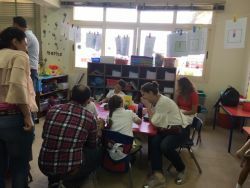 On Sunday 21st October teachers from FS1 and FS2 nominated children from their classes who they felt would be able to interact in a discussion with their peers without shyness, by using competent English skills. These children formed our very first FS Student Committee. 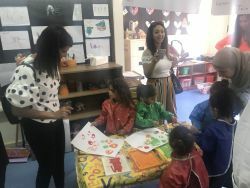 They were challenged to express their views and opinions on day to day life at CES, which would feed into our development plan for the department. 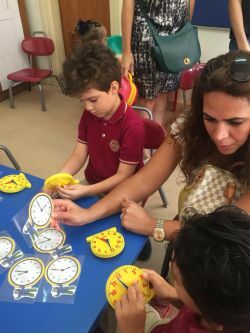 It only took a little while for the children to warm up to the questions they were being asked and very soon they were able to be much more expressive, whilst at the same time considerate of others opinions. We wanted to know their opinions on different aspects of school life, such as 'do you enjoy school, why'; 'do you feel safe at school, why'. They were very capable of verbalizing their points of view. It was a very rewarding meeting and the children were a pleasure to listen to. They really got into their role of being a representative of their school! You will find a display near the FS exit for the buses and car children of the children and some of their input. 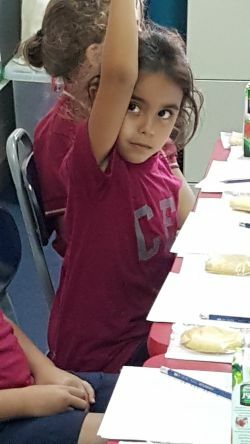 "The rights of a child to be heard, is a fundamental right. 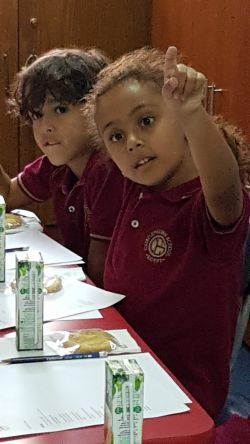 In Early Years at Cairo English School, we value every child's voice. 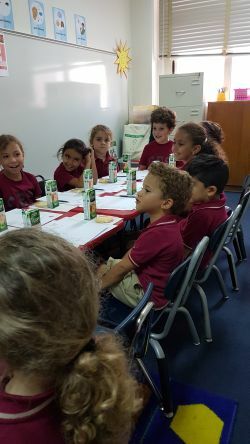 In October, children were chosen to form a committee to share their opinions based on preset questions. The meeting was lively and very informative. As professionals we will use this feedback to contribute to future school improvement or to create action plans. The importance of recognising the child's right to participate in the school's future plans is indispensable. This could lead to subtle changes in our day to day practice. One child's voice can impact on many children's wellbeing and it positively embeds a culture of critical thinkers. 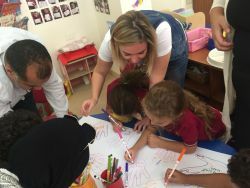 Children are encouraged to write and draw throughout this process. A child's picture can sometimes voice a thousand words. " 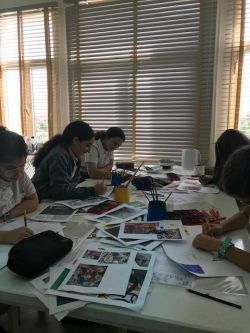 Black and Orange Day will have a focus in our next newsletter but the classes are eagerly collecting contributions for dress-down of LE30 (optional), to contribute towards our very admirable PTSA chosen charity of building a community school in Halayeb. Which is located on the southern border of Egypt. We are going to be looking for the class in each year group (FS1, FS2, Y1 and Y2) who raise the most money. They will gain a mention in our newsletters and assemblies, as well as receiving a certificate from the PTSA. 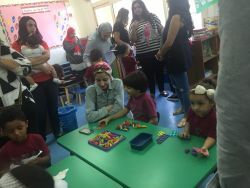 We want to get our children excited about raising funds for such a worthy cause especially as it is here in Egypt. Some teachers are even getting excited about the charity and are getting on board with various ideas of how to raise extra money. This is the CES community, coming together when it counts most! There will be a selection of Field Trips taking place this term and individual Year Group letters will be sent home nearer the time. Best wishes from the CES FS & KS1 Team! 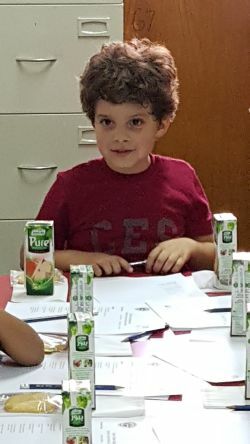 We at Cairo English School know students can achieve their full potential only when they feel safe, secure, and supported. As a result, one of the cornerstones of our school's policies is a commitment to preventing and addressing bullying behaviours. It has come to our attention in recent days that there have been separate instances in which some of our students have been the object of cyberbullying. Some of these incidents involve emotional bullying conducted anonymously through Internet blogging and/or social networking websites, such as Facebook, Snapchat and YouTube, and may involve several students acting together. We have initiated investigations into these reports, and these will be completed shortly. These investigations will be aggressive and complete, and the consequences will be stern. These behaviours cannot and will not be tolerated. The consequences that can be suffered by both the victims of bullying and those who have inflicted distress on their peers have been well documented in the media. We are clear that very few students, if any, who engage in these behaviours are fully aware of the horrible short-term and long-term scars of students targeted by bullying behaviour. As you know, cyberbullying occurs off school grounds and outside of school hours, and to some degree our hands are tied in dealing with those situations, but we still want to be part of the solution. As school staff, we understand the importance of our partnership with you. We urge all parents to take time to speak about this very important issue with your children so they can be clear that bullying can have devastating consequences to both its perpetrators and victims. Please discuss what it means to be a bystander, and empower them to take a stand when witnessing cruel behaviours. Young people routinely access social media and much of their social lives are online. This can create a false sense of security; for example, chatting online feels different from chatting face to face. It can be easier to say and reveal things that wouldn't be said face to face; be cruel, aggressive or flirtatious. It is important for young people to remember that there are offline consequences to online behaviour. Comments intended to be funny can often be misinterpreted online whereas if said face to face they could be acceptable as facial expressions, body language, tone of voice and context all help to ensure that comments are taken the right way. This is not the case online. We also know that increasingly younger and younger children are signing up to social network sites and may not have the maturity to handle their online identity in a safe and responsible way. 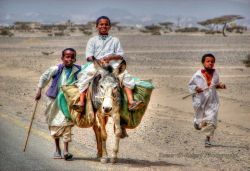 Social networking can increase existing social pressures and reinforce a sense of isolation; for instance, by people purposefully not liking a young person's status update or photo so they seem unpopular, or by excluding them from group chats. Online bullying often involves a large audience and this increases the pressure. Parents need to understand the way young people communicate with others, and the potential risks. Asking their child simply not to use technology is not a realistic way to prevent or react to cyberbullying. If we help our children to understand the nuances of using social media, then our children begin to use it more thoughtfully. More information and advice can be found on the following websites.  Make sure you use the privacy settings.  Always respect others – be careful what you say online it could be misinterpreted.  Be careful what pictures or videos you upload. Once a picture is shared online it cannot be taken back.  Only add people you know and trust to friends/followers lists online.  Treat your password like your toothbrush – keep it to yourself and change it regularly.  Block the bully – learn how to block or report someone who is behaving badly.  Do not retaliate or reply to offending e-mails, text messages or online conversations.  Save the evidence. Always keep a copy of offending e-mails, text messages or a screen grab of online conversations and pass to a parent or a teacher.  Make sure you tell an adult you trust, for example, a parent or a teacher.  Most social media services and other sites have a button you can click on to report bullying. Doing this can prevent a bully from targeting you and others in the future. Many services take bullying seriously and will either warn the individual or eliminate his or her account.  While you are on your mobile phone make sure you also pay attention to your surroundings. I hope you have found the information useful to facilitate conversations that will benefit all of our children. This term is proving to be very busy with many events and activities going on. The basketball and football teams have had some amazing success as well! Here is a short summary of what has been happening in the Secondary School. 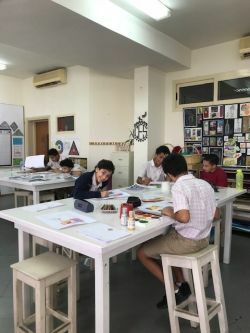 In lieu of Halloween, Black and Orange Day, and the Dead Man's Party, there was a House Competition for the ticket design, poster competition or a scary creature. Winners will be announced in the assembly on Thursday. Also we have our first sporting House Competition coming up which will be Dodgeball! Students will play in their year groups and Houses on Thursday 29th November to gain some valuable points towards the House Cup. Our talented singers in Secondary have been working hard to practice the music for their production of 'The Greatest Showman' which will be performed on 13-15th November. 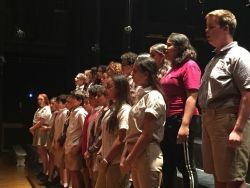 For six weeks now, students have been rehearsing for 5 hours or more per week to get their solos and chorus performances to an amazing standard. 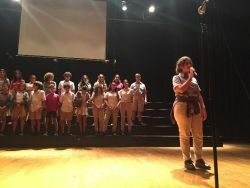 Mr Porter, Ms Chow, Zeina Omar and Mona Hassan have been leading the student rehearsals which include performers of all ages. 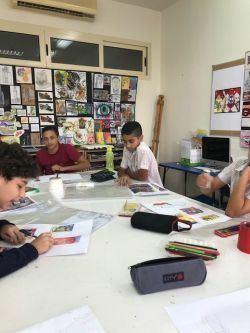 Some amazing pieces are being created by our talented Year Key Stage 3 students this past month. 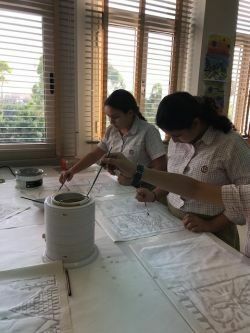 In Year 7 DT, students have been completing a Batik piece which is an extensive, long-term project that will result in a beautiful case that students can use. 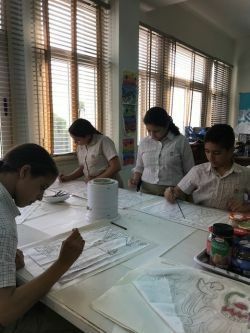 In Year 8 Art, students have been doing still-life drawings from both 3D objects and sections of images. This term began on a strong footing with our IB presentations. These presentations emphasised to our Year 11 and 12 students how the IB is a strong system and how they must work hard from the beginning of the course. I discussed how the IB system is appreciated by most, if not all, universities around the world. Some universities even exempt students from taking certain courses if they take their equivalence as HL subjects in IB with the condition of having a certain minimum grade. I shared how the final score matters and how it could even transfer courses - an example of that is AUC. We have also had a similar presentation for A-level students, and will be having one more for them this week on 1st November. 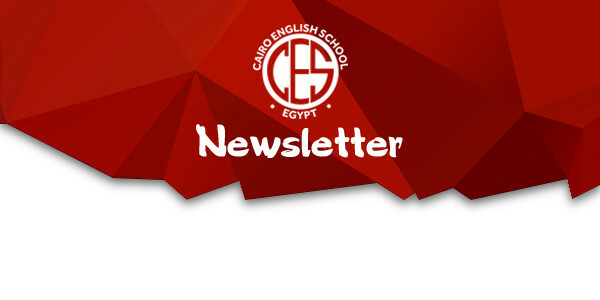 I have also had the chance to invite a representative from the prestigious Warwick University to visit CES, and she presented for Year 12 students about the curriculum they follow, the minimum grades and scores for different disciplines and she shared information about the services they provide on their spacious campus. I have also arranged for two large University Fairs to be attended by our students during October. 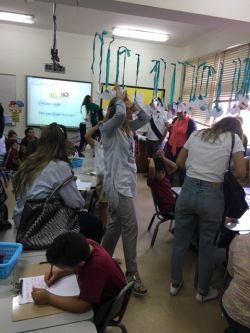 The first one targeted students interested in the UK, but the second fair had a wide range of institutions that included universities in the US, Canada, Australia, UK, Middle East, Far East and Europe. Finally, as a school we have introduced a very powerful online program called BridgeU. This is a university guidance platform that helps students around the world realise their potential, through empowering schools to provide smart, modern university and careers guidance. We have delivered detailed training on it so that students are confident while using it. This month is also important for our students applying to Oxbridge in the UK, and those considering Early Decision or Early Action applications to the US. There is always something interesting happening in the world of university applications.